Adriaan Geuze, Formerly Urban Conference Key Note Session, 2010, Syracuse, NY. Courtesy of Syracuse University School of Architecture. Photo: Steve Satori. 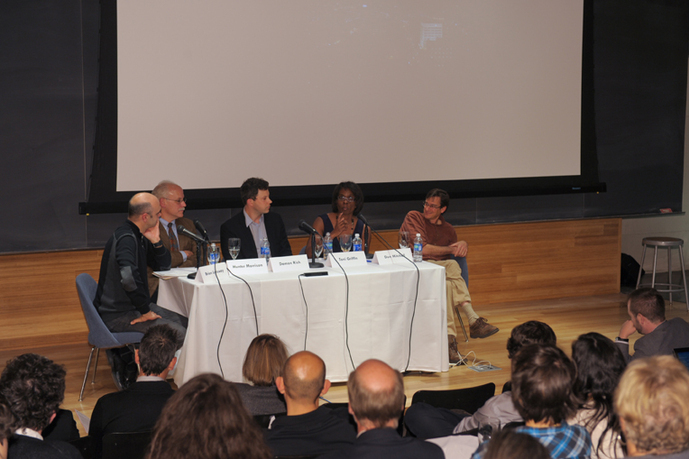 The Formerly Urban: Projecting Rust Belt Futures conference gathers a diverse group of designers, critics, politicians, and policy makers who are committed to providing the benefits of urbanity in weak market cities that are considered "formerly urban." We invite them to recognize that activating urban life requires developing strategies that are asset based, to reconsider ways that urbanity is produced, and to imagine a new kind of city full of promise and potential. Globally, cities today are shrinking: symptoms include the loss of city fabric, diminishing social welfare networks, eroding public school systems, the loss of industry, increasing amounts of vacant land, crumbling infrastructure, and declining population. This conference draws on the knowledge base of experts in the disciplines of architecture, planning, landscape architecture, and urbanism to advance speculation about remaking shrinking cities in America's Rust Belt, underscoring the centrality of design and innovation in their revitalization. Julia Czerniak is associate professor of architecture at Syracuse University and the inaugural Director of UPSTATE:. She is also a registered landscape architect and founder of Clear, an interdisciplinary design practice. Her design work focuses on urban landscapes in Rust Belt cities, and it has been recognized with numerous awards. Czerniak is the editor of two books: Large Parks (Princeton Architectural Press, 2007) and Case: Downsview Park Toronto (Prestel and Harvard Design School, 2001). Mark Robbins is the dean of the Syracuse University School of Architecture, and serves as the University's senior advisor for architecture and urban initiatives. 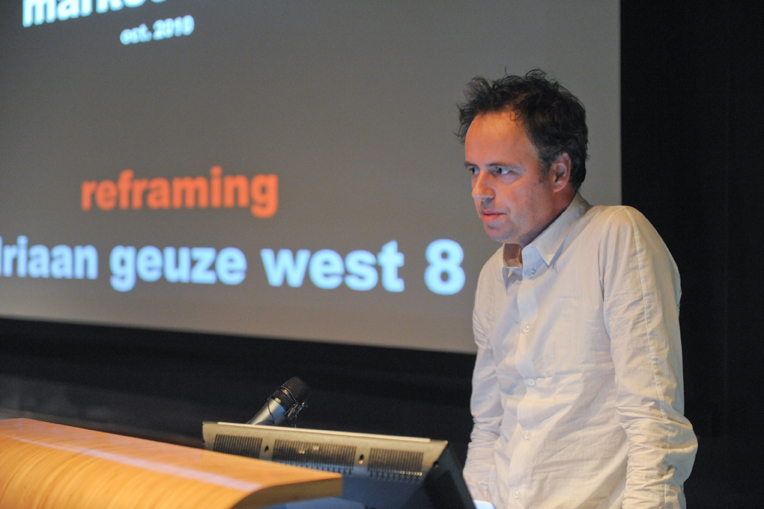 Robbins has served as director of design at the National Endowment for the Arts, curator of architecture at the Wexner Center for the Arts, and was an associate professor at the Knowlton School of Architecture. He has been a fellow at the Radcliffe Institute, received the Rome Prize, and has won many grants and awards. UPSTATE: is a design research and advocacy organization housed within the School of Architecture at Syracuse University. The institute, founded in 2004 by Dean Mark Robbins, initiates, facilitates, and showcases projects that apply innovative design research to challenges—economic, environmental, political, social—faced by urban communities. 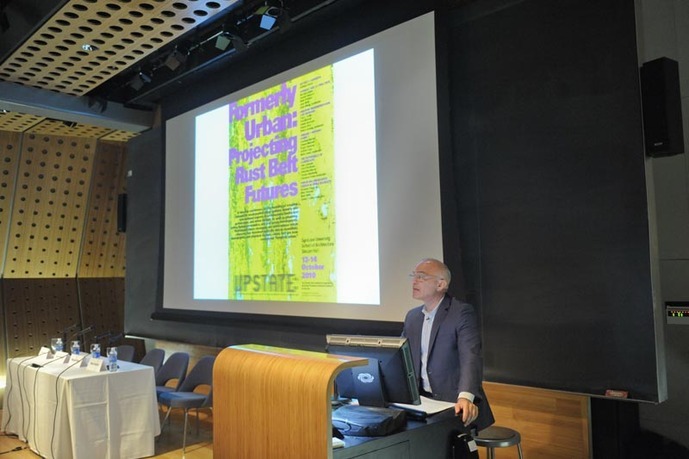 Although UPSTATE: focuses a majority of its projects on the immediate geographical context of upstate New York, its larger research agenda concerns design strategies for shrinking cities in the American Rust Belt. In all cases, UPSTATE: strives to demonstrate the value of design innovation and experimentation as highly leveraged instruments for positive change. UPSTATE:’s projects are structured to engage with the academic life of the university through the involvement of students and faculty, with many projects directly integrated into the curriculum through coordinated courses in the schools and departments with which the institute partners.